Address: 3901-3994 Hamilton Club Cir. 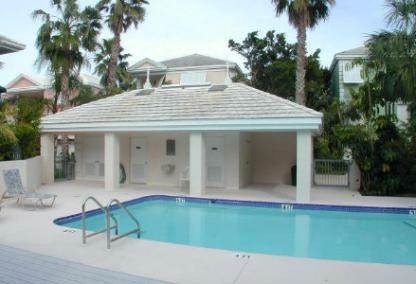 The Hamilton Club is a private, gated enclave of only eighteen townhomes on the north end of Siesta Key. Offering the best in maintenance-free waterfront living, residents enjoy all the benefits of a resort-style condominium with an ambiance of a single-family home. The Hamilton Club is only two-miles north of Siesta Key Public Beach, consistently voted one of the most beautiful beach in America. The community’s Bayside location affords residents deep-water boat dockage on the stunning Nettie Bay. Boaters also enjoy easy and bridge-free access to Roberts Bay, Big Pass, Sarasota Bay, and the azure waters of the Gulf of Mexico. Built in 1997, The Hamilton Club is one of the newer communities on Siesta Key with all of the upgrades one would expect in a luxury home. Each townhouse offers over 2000 square feet in the three-story design. Floor-to-ceiling windows provide an abundance of natural light throughout each residence. Additionally, each residence provides private parking in a two-car garage and expansive screened lanais on each level. Many of the townhomes also include the added convenience of an elevator for traversing the three levels. The property has a tranquil ambiance, with lush tropical vegetation, winding trails leading throughout the property and a tranquil pond in the center of the community’s courtyard. Residents enjoy views of either the beautiful courtyard and pond or the stunning bay waters. A heated pool overlooks the pond and includes a deck area, perfect for an intimate gathering. 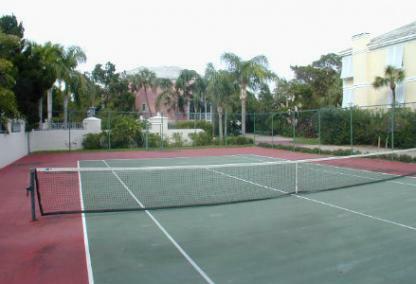 Residents and guests may also enjoy a lively game of tennis on the property’s private court. Beachgoers may access the sand quickly at the nearby Shell Beach, less than a two-minute stroll from the entrance. However, many residents opt for the Siesta Key Public Beach and feel the five-minute trip is well worth drive. Siesta Key Beach is one of the top ten beaches in the world. Popular for its powdery white quartz sand, this stretch of sand is a favorite vacation spot for visitors from around the globe. The public beach area offers additional lighted tennis courts, picnic areas, a playground, volleyball courts, basketball, nature trails, and a concession area. Many locals head to the beach for the Sunday night drum circle, sunset celebration, complete with every percussion instrument imaginable, from spoons to bongos. 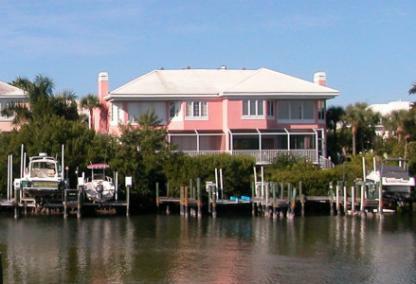 The location of The Hamilton Club also makes it easy for residents to enjoy the nearby Siesta Key Village as well as quick access to the mainland. The charming downtown Sarasota area, St. Armand’s Circle and Longboat Key are all within 15 minutes of The Hamilton Club. Each area offers an impressive selection of restaurants, shopping, boutiques, entertainment, and nightlife.